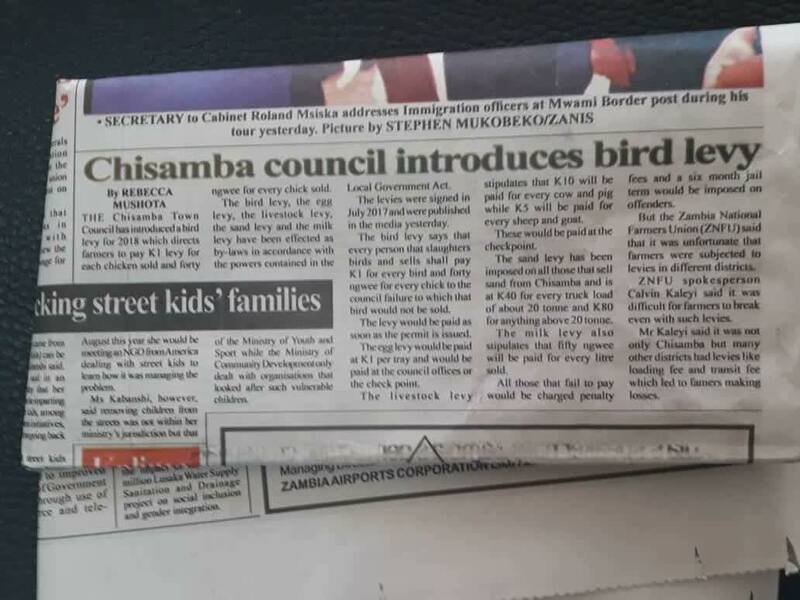 The PF regime has introduced chicken, egg, and milk levies. This means that a farmer sales one chicken,they must pay K1 tax. If you sale one egg, must pay tax too just like when you sale a bottle of milk.